Is the sky the limit for you? We hope you agree with us that you can go far beyond that limit provided you have the best camera for astrophotography. You can use this gadget to add onto your telescope and capture crisp images and videos to share with your friends or marvel at on your own. 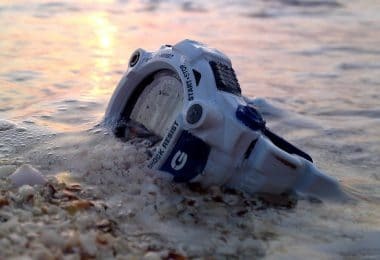 Some of these items are really fast, versatile and high-tech, but you need to know how to choose. That’s exactly what we’ll start with, but we’ll apply these tips for a few of our top selections 2018 has to offer. These cameras, along with their main characteristics, are summarized in the table below so you can compare, contrast and make an informed decision. 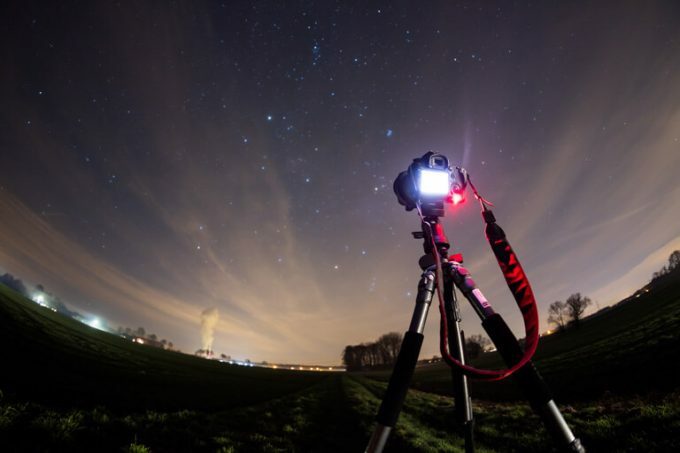 There are at least a few things to take into account to get the best astrophotography camera. Size is directly influenced by your purpose but take into account how heavy that is and if it happens to weigh too much on your mount. The cost of most CCD cameras increases along with their weight, but that gives you a better field of view, a higher resolution, and a better sensitivity. You might even get a thermoelectric cooler to make the images crisper. Planetary imaging and capturing bright objects like the moon demand a large FOV and a fast capturing, while sensitivity isn’t that important. Conversely, the sensor size and resolution are capital for deep sky imaging and minuter details. If you want to look at and capture images of various nebulas and galaxies, you need to sacrifice a few minutes of your download time and get the proper angular size to frame them properly. The bigger the resolution, the more detail you’ll be able to see. Take the atmospheric conditions into account too, and don’t assume that the more pixels a camera has, the more details it will render. In fact, matching the number of pixels to your telescope is what will enable you to see a clearer, more detailed image. There are three possible noise sources: read, dark current and sky background, the first being the least troublesome of all. The other two have a cumulative effect, meaning they get bigger with time and use. That’s why you should get a camera with the ability to reduce noise, like a red or narrow band filter for the sky background noise, and a thermoelectric cooler for dark current noise. This option is a must-have especially for beginners, and it’s capital in getting qualitative images. Along with a bigger resolution, you’ll need a longer exposure and that requires both time and guidance to get things right. Some cameras use patented techniques that offer automatic guiding, so you’ll reduce noise and get good images. 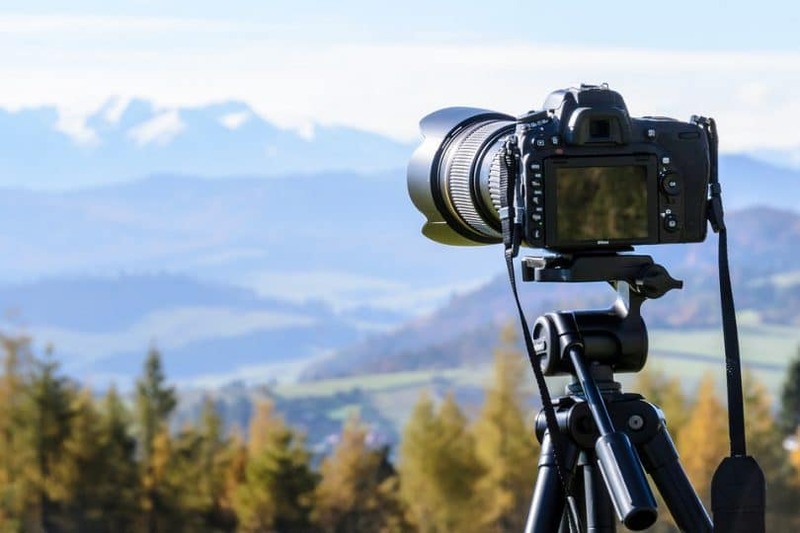 Consider that you’ll operate this camera using your PC or laptop, so you need good software to enhance the image quality, to obtain a good focus and frame, as well as to process the images and videos. 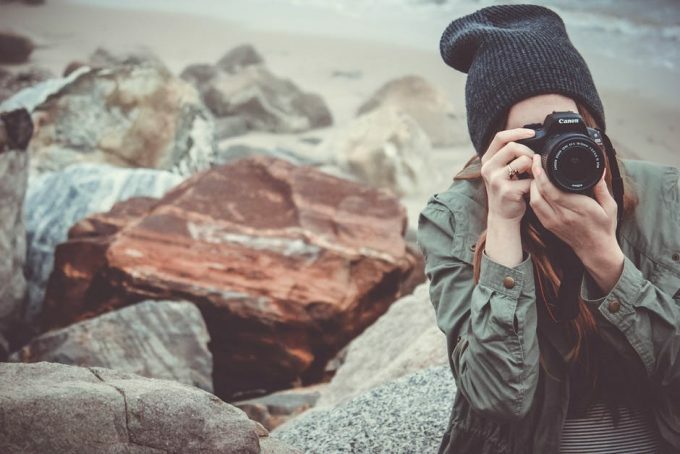 It’s wise to ensure your camera can be used with different operating systems too, and that the included software works as expected with them, providing a detailed guide and a convenient way to get updates. With that said, you can choose your own best astrophotography camera from the selection below, considering all the features above. The Celestron StarSense Telescope is certainly one cool gadget because of features like its automatic alignment. That makes the computerized telescope function in even less than 3 minutes, so you won’t have any problems locating the star you want to photograph. That’s certainly a perk considering that other similar products demand the user identifying and locating the stars prior to the actual observation can begin. Another cool feat is the proficient mount modelling-align, thanks to which you’ll get really exact GoTo pointing. So all you have to do for that is set up this accessory and push the button on its included hand control that reads “Align”. The camera will take various pictures really fast and then compare them to the 40.000 celestial images it already has in its database. We also like that StarSense slides automatically to certain stars or galaxies that are more visible or renowned, so you can have the best perspective. That’s probably why this product has received the Hot Product Award in 2014 for Sky & Telescope category, and you can rest assured it’s easy to use even if you’re a complete newbie. The downsides of this camera regard the documentation and the way how the menu was conceived. For starters, there are some issues with the earlier versions of StarSense that were managed by Celestron, so you need to download the updates. Besides, there are some options like the Home position that are shown in a different section from where they actually are. And even though it’s an automatic gadget, the mount still needs to be leveled really well, and you still have to point it very close to the North Star. And if you don’t have the Celestron SkySync, the time and location have to be set very accurately on the HC, or otherwise, you’ll get different info. 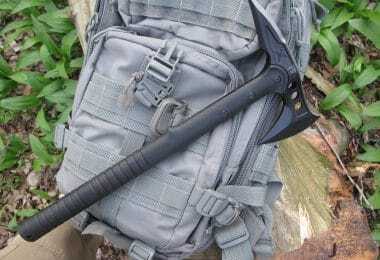 Other than that, we like that this item doesn’t way very much, it’s easy to set up and it makes for a rather compact package, so it wins points for portability. 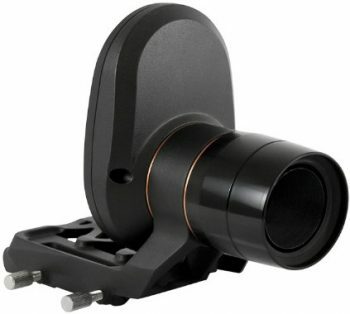 Related: We recommend you get the Celestron Aux Port Splitter particularly if you want to connect the StarSense accessory to mounts produced by Celestron which only have one port for the hand controller. It’s an inexpensive addition and it works exactly as advertised, so it’s better than improvising one of your own. The Celestron NexImage 5 MP 5 is a color sensor that has a high resolution of 5 megapixels. That will help you capture very detailed images of the Sun, the Moon and the other planets in our solar system, along with their satellites. That’s because it has included a really well though software package which brings a lot to the table. 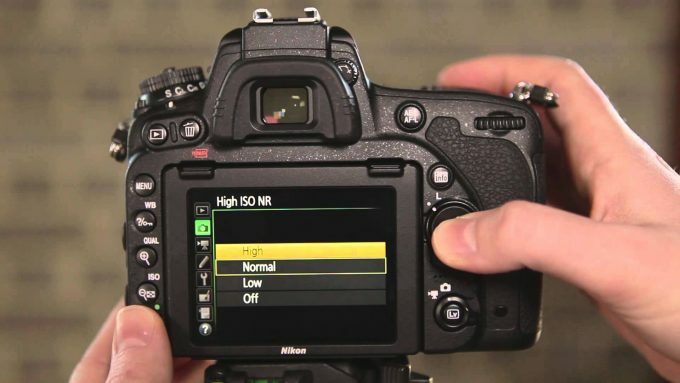 Plus, this sensor has the Micron Digital Clarity technology that doesn’t let the picture blur. The fact that it has very small pixels means you’ll get really detailed images of sub arc-second planetary with any telescope you’re using. You can even get live videos of the celestial panorama thanks to its proficient software. This will get rid of any frame that’s been distorted by atmospheric conditions, capturing very bright and clear frames. These are put together and aligned to make a very qualitative image. The materials used are top grade too. The adapter barrel is 1.25 inches and it’s manufactured from machined aluminum. 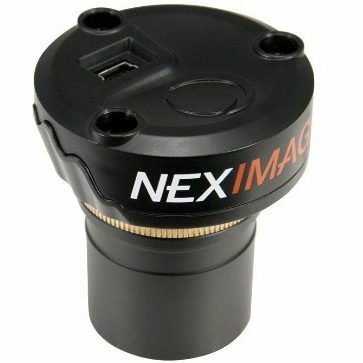 Its size means the NexImage can work with the majority of telescopes on the market, and with 1.25 eyepiece filters. The camera control software is amazing too because it helps you to manually change some features directly from your laptop, like contrast or color saturation. The C-threads allow you to have a direct connection with your telescope, there’s a progressive scan option and also a USB 2.0 cable included in the package. Although all this sounds too good to be true, you’ll still have to deal with at least a couple of issues. One is that sometimes live view simply freezes when you’re focusing this item, which means you’ll have to restart it and begin all over again. Plus, there are some red lines which you sometimes get on your picture and these are pretty annoying. To remove them, you’ll have to set the noise reduction wavelets better, and that additional work can be a bit tiresome. Related: We recommend the Celestron 18778 AC Adapter because it works great with any Celestron telescope, allowing you to power it from a wall socket. It’s an AC adapter that works with wall sockets both inside and outside, using only 2 amps. The Orion 53083 StarShoot is a sort of monochrome camera, which enables you to capture images by using a telescope and special filters. These images will either be tri-color or LRGB and rather high-quality too. That’s courtesy of the included CCD sensor that’s 0.5 inches format monochrome, to enhance the clarity. There’s also a thermoelectric cooler built in, to make sure this camera doesn’t backfire and gets really qualitative photos. There are also other professional characteristics like the 16 bits A/D conversion and the onboard fan, but we really like the low-noise auto guide because that clears the picture of any possible blurs caused by the atmosphere. The ST-4 output is really convenient too for most users. The pixel range is 752 x 582, with really small 8.6 x 8.3 microns pixels which mean you’ll capture extremely minute details of celestial images. The CCD sensor we mentioned before isn’t included in cameras in this price range, and it will give you a rather wide field of view. That means you can take for astrophotos in less time. With that being said, we feel like the 752 x 580 chip is a bit small, but if you twiddle it a bit it can work for most pictures. The software used isn’t the best on the market, for instance, it might even crash if you accidentally push a button when it’s trying to take a picture. Plus the histogram feature doesn’t work so well since you can’t type any coordinates, which means you’re not getting exact sliders. Related: This nice Orion 5522 5-Position 1.25-Inch Filter Wheel goes really well with the Orion camera. It’s easy to use and versatile and will hold five 1-inch filters. The filters are 25 inches and it can be used for both visual or imaging, ending up a real efficient helper when you want to use color filters or for the tri-color option on your Orion camera. The Celestron 95509 Skyrim is the baby of german scientists that work for The Imaging Source, which has designed and built this camera along with Celestron engineers. The Imaging Source is the best brand when it comes to grading A planetary imaging, so its reputation can be transferred to the Skyris too. But that’s not the only name in the branch associated with the camera since even Christopher Go has tested and uses it. 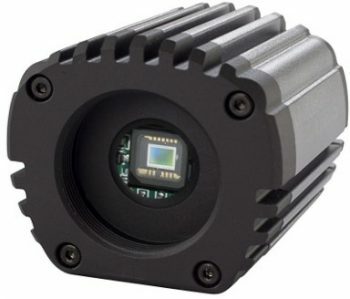 The imaging sensor used is the Aptina AR0132 CMOS, which is frequently used by numerous imaging companies across the globe. Plus, you’ll download the images really fast and thanks to its CMOS sensor, you’ll get 200 frames/ second for planets. If you want to take astrophotos of the Moon and the Sun, you can use the 1.2 megapixels sensor that’s 1/3 inches and catches 60 frames/ second. Also, don’t try using it for deep sky imaging, it’s just meant for planetary imaging. 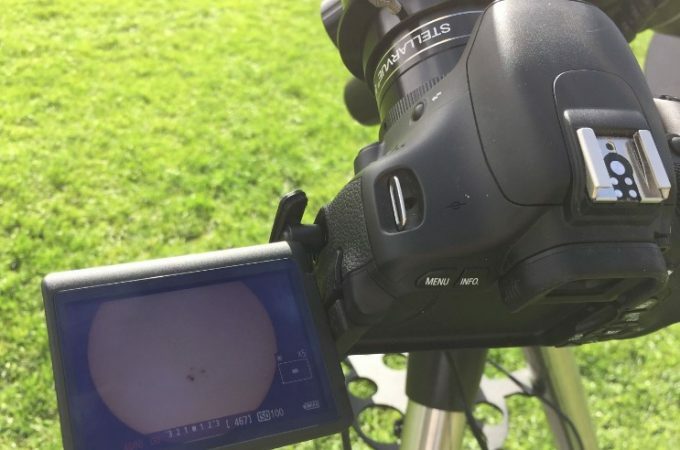 This camera is easy to use and you can get celestial images of our solar system in minute detail. These images are clear, bright and high-resolution. The Skyris is a monochrome sort of camera, meaning you’ll get a high sensitivity. The Celestron specific design accounts for almost no thermal noise, and thanks to its lack of an optical window, there will be no internal reflections. Not to mention how easy to clean that will be. We like the fast data transfer that’s done with this camera, thanks to its USB 3.0 SuperSpeed technology. That way you’ll get your pictures really fast, and uploaded into your PC. The only downside regarding time is that you’ll have to spend quite a few minutes on exposure and centering to get everything right. Related: Celestron also retails the same product with different CMOS filters, like the 132C, the 236C, and the 236M. Since these offer different color options and different sizes, it’s better to get one that goes well with your needs. The sensors that capture full-color images don’t require filters, nor a filter wheel, so that’s a definite plus. 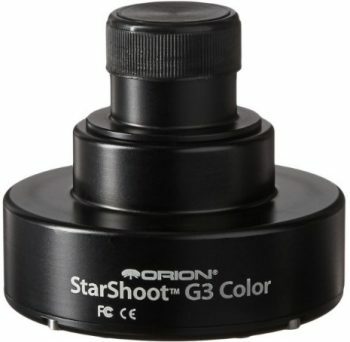 The Orion 53082 StarShoot G3, as opposed to the Celestron Skyris, is the camera you need for deep sky imaging. That’s mostly thanks to its high-tech characteristics, like the 0.5 inches CCD sensor for the format and the included thermoelectric cooler which is responsible for reducing noise and rendering very crisp images. This camera uses color imaging and 16 bits A/D conversion. You’ll also get a built-in fan, and an ST-4 output so you’re sure this is a top-performing camera. Plus, the Orion software is included in the package, so apart from capturing imaging fairly fast, you’ll also be able to process and share them with ease. If this is your first deep sky camera, you’ll notice a huge improvement from most planetary cameras out there, with images that are really crisp and detailed. On the other hand, the software that accompanies it isn’t that great, and the support team seems to be constantly fixing one thing or another. For instance, when using the raw mode, some software adjustments don’t work at all, while the red processing in the color mode is a bit iffy. The exposure adjustment is lacking too since you need to actually type in the desired exposure. But even with all these issues, the results you’ll get exceed medium expectation. Even if you do a half a second exposure on any planet in our solar system, you can get a better final result than stacking videos of other cameras. That’s because the magnification on the StarShoot G3 is pretty high. The optical zoom is 3X, the pixel range is 752 x 582, and the pixel size is 8.6 x 8.3 pixels. Related: We love this Orion 0.5x Focal Reducer that goes amazingly well with both the StarShoot G3 Color and StarShoot Monochrome astrophotography cameras. Its job is to increase the imaging area up to four times, so you can capture a bigger portion of the sky. The design is really qualitative, made from anodized aluminum and featuring a fully-coated two lens construction. 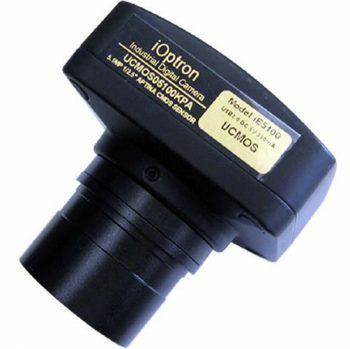 The iOptron 5200 iE5100 Planetarium Imager works really great for planetary imaging. It has a CMOS sensor, that’s 5 megapixels and takes color images. The chip size is 1/2.5 inches according to the official specs, and the pixel size is really small, reaching 2.2 x 2.2 microns. That along with the Digital Clarity technology means you’ll get crystal clear images with almost no noise. We like the progressive scan feature and the detailed images it renders at a 2592 x 1944 resolution, which is, in fact, both its maximum and the biggest resolution from all the cameras we’ve reviewed so far along with Celestron NexImage. The resolution for videos is still good, albeit smaller at 640 x 480, and the frame rate of 60fps can get you quality videos on your computer really fast. 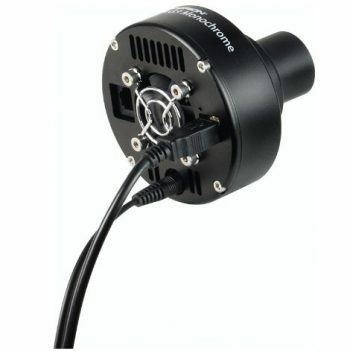 This camera can be used for standard telescopes and standard microscopes as well. Just be careful to have 1 ¼ inches eyepieces for the telescope and a C-mount for your microscope. It’s also pretty versatile when it comes to the operating systems used. You can get it to work with multiple Windows versions, Linux and OS X for Mac. 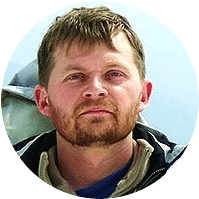 The issues with this camera start with its focusing, that requires a decent amount of patience on your part and some technical abilities to make it work. Plus, it’s better for capturing bright objects like the Moon, but the good news is you’ll get great images even during the day thanks to its daylight option. Another thing is that even if it works with Linux, you’ll need some programming knowledge and it’s not for beginners. People with little to no programming know-how should better use it with Windows, that provides a complete version. The Linux guide could use some enhancements, though the ROI and hardware “crop” modes are amazing. But if you want to use these features, you’re going to have to write some code prior to that, using the included documentation which albeit accurate, is a bit brief for newbies. Related: We recommend this USB 2.0 A Male to A Female Extension cable from Monoprice to extend the reach of your USB cable. 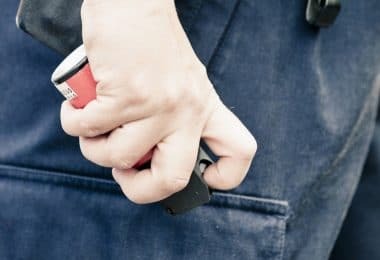 We love its gold plated connectors that eliminate corrosions, as well as its included lifetime warranty in case something backfires. We’ve reviewed some pretty different items up til now, but the best astrophotography camera is actually the best for you. Decide whether you want a monochrome or a color camera, one that’s better for planetary imaging or one that works really well with deep sky imaging. Some of the products we’ve talked about require fiddling or even writing portions of C++ code, which can be a real bother for users who want fast images right out of the box. On the other hand, some people might actually enjoy using their programming skills and setting up the camera according to their preferences. So let us know which camera you love, which one would you hate using and what you end up choosing. The comments are right below! Toddler Hiking Shoes: Let Those Little Feet Safely Follow Your Footsteps!